Manchester United Legend and Wales Manager, Ryan Giggs, was yesterday seen at Old Trafford when the team was training ahead of a UEFA Champions League last sixteen first leg tie to be played at Old Trafford tonight. 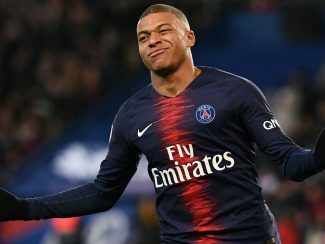 The UCL match will be United’s interim coaches Ole Gunnar Solskjaer’s first since taking over from Jose Mourinho in December, and the tie presents him yet again a toughest challenge even though some key players for PSG will miss out due to injuries. Giggs’ arrival at Old Trafford has been reported by All Football website, which indicated that: “The Red Devils host PSG in the Champions League last-16 first leg on Tuesday night – looking to extend their unbeaten run under interim manager Ole Gunnar Solskjaer to 12 games in all competitions. Meanwhile, another former United great, Louis Saha has warned his former team to be careful with PSG forward Kylian Mbappe, whom he described as unstoppable. 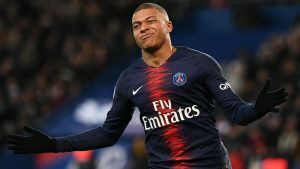 He told Omnisport that: “Paris Saint-Germain are slightly ahead because they kept progressing,” “They have a player like Mbappe who cannot be stopped. However, Saha also said United should not be counted off to the race for the championship despite sitting fourth in English Premier League. Neymar, Edinson Cavani and Thomas Meunier will all definitely miss the first leg while Marco Verratti is not fully fit for the match after recovering from an injury.